Read 2 times. Last read October 19, 2015. He may be feeling his age. He may be worried about his kin. He may be feeling a bit under appreciated. But Domnall's not a fae to take a problems lying down. Leastways not unless he's managed to acquire some of that big people whisky. When a child becomes dangerously ill, Domnall knows that he's got to find the mortal mother's milk to save her. When the changeling solution goes pear shaped, Domnall sets out again into a dangerous world to save the child. He'll brave wolves and brownies to seek out a mortal saviour. He'll even risk making a fool of himself by dancing with a much younger fae. Domnall is an irrepressible, incorrigible and utterly likeable character and Wrigley builds a world of the fae like nothing I've ever read before. Funny and fascinating and highly recommended. 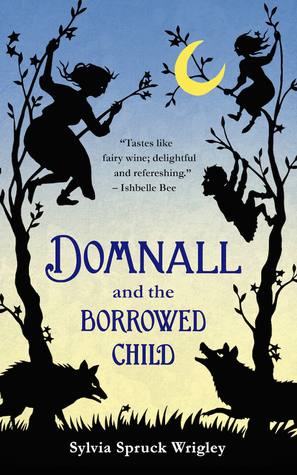 Sign into Goodreads to see if any of your friends have read Domnall and the Borrowed Child.